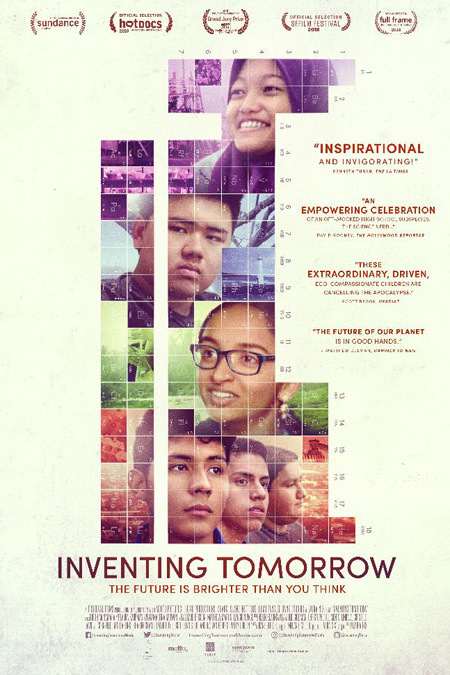 The Sedona International Film Festival is proud to present a special premiere event of the inspiring and award-winning new film “Inventing Tomorrow” on Thursday, Dec. 13. There will be two screenings of the film at 4 and 7 p.m. at the Mary D. Fisher Theatre. This special premiere of “Inventing Tomorrow” will feature special guests Lorna and Bill Glaunsinger — the science advisors for the film — who will be in Sedona to present the film and host Q&A discussions after both screenings. Meet passionate teenage innovators from around the globe who are creating cutting-edge solutions to confront the world’s environmental threats — found right in their own backyards — while navigating the doubts and insecurities that mark adolescence. Take a journey with these inspiring teens as they prepare their projects for the largest convening of high school scientists in the world, the Intel International Science and Engineering Fair (ISEF). “Inventing Tomorrow” follows these six young scientists from Indonesia, Hawaii, India and Mexico. Each student is preparing original scientific research that he or she will defend at ISEF. Framed against the backdrop of the severe environmental threats we now face, we immerse the audience in a global view of the planetary crisis, through the eyes of the generation that will be affected by it most. Considered the Olympics of high school science fairs, ISEF is the largest gathering of high school scientists in the world, attracting approximately 1,800 finalists from over 75 countries, regions and territories. All the finalists want to do a good job, but the heart of the story isn’t about whether they go home with an award. As they take water samples from contaminated lakes, dig up the dirt in public parks, board illegal pirate mining ships, and test their experiments in a lab, we see each student display a tenacious curiosity, and a determination to build a better future. Motivated by the desire to protect their homes, these young people are asking questions about the issues they observe in their communities, and proposing innovative solutions to fix them. The students spend close to 600 hours each on their projects, guided in their scientific quest by dedicated university mentors. At home with their parents, grandparents, and siblings, they compare the world their elders knew with the stark reality of the one they’re inheriting. As they integrate their time at ISEF into the next phase of their lives, they all realize they’re not alone. They’ve finally met other kids like themselves who believe in a shared vision of environmental stewardship and collective action. Join us for this special premiere of “Inventing Tomorrow” and meet the science advisors of the film Lorna and Bill Glaunsinger who will be here to host the film and Q&A discussions. “Inventing Tomorrow” will show at the Mary D. Fisher Theatre on Thursday, Dec. 13 at 4 and 7 p.m. Tickets are $12, or $9 for Film Festival members. For tickets and more information, please call 928-282-1177. Both the theatre and film festival office are located at 2030 W. Hwy. 89A, in West Sedona.